.1884 STUNNING TIFFANY & Co STERLING SILVER FRUIT BOWL. GOOD WEIGHT 530 GRAMS. 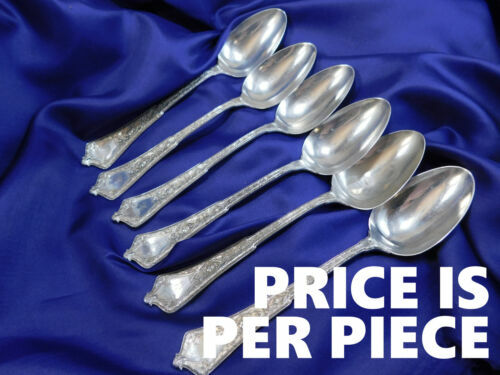 .c1868 SUPER RARE TIFFANY & Co STERLING SILVER SET 11 MONOGRAMMED SPOONS. 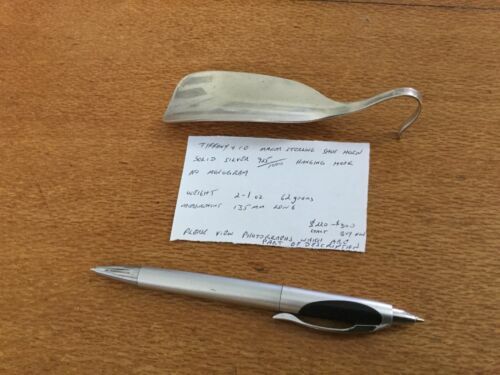 Set of 12 Tiffany & Co Silver Plate Seafood Cocktail Forks Art Deco Pattern 6"
TIFFANY + CO STERLING SILVER STANDING PICTURE FRAME 4" X 5 1/2"
Tiffany & co sterling silver baby spoon!!! 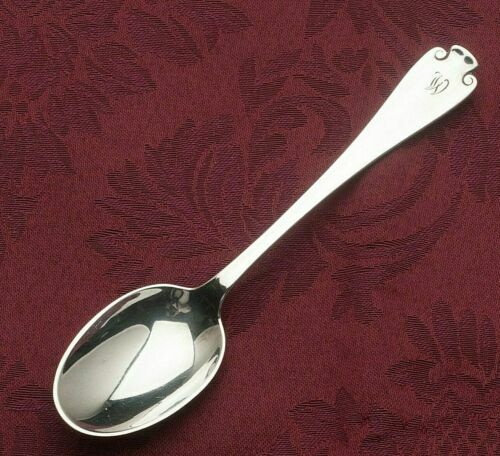 Antique 1872 Tiffany & Co Sterling Silver Persian Pattern Ice Cream Spoon 6 1/4"
.c1886 TIFFANY & Co STERLING SILVER PIERCED BOB BON BOWL. 2 Pastry Forks in Tiffany & Co. Saratoga (Cook) Sterling Silver 6 1/8"
Antique Tiffany & Co. Sterling Silver Serving 8 5/8" Spoon 67 Gram Mono "CLB"
English King by Tiffany Sterling Silver Individual Knife 9 1/8"
Antique Tiffany & Co. Sterling Silver Serving 8 1/2" Spoon 86 Gram Mono "B"